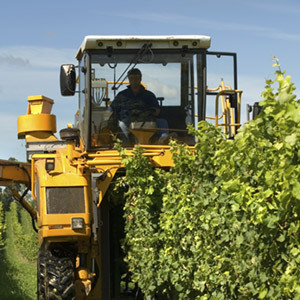 Personal Injury Solicitors Jefferies say farms and other agricultural businesses across the UK need to take better precautions to prevent workers suffering injuries following accidents at work. New figures for the number of workers who were fatally injured in the agriculture sector have been released by the Health and Safety Executive (HSE) and show that Agriculture has one of the worst fatal accident and occupational ill health records of any major employment sector. Less than 1.5% of the working population is employed in agriculture yet the sector is responsible for between 15% and 20% of fatalities to workers each year. The industry also has a rate of self-reported illness which is typically higher than the average for all industries. In 2009/10 38 agriculture workers were killed at work and of the 38 agriculture workers killed, 17 were employees and 21 were self-employed. These figures are in stark contrast to 2008/09 when 25 workers died. The rate of fatal injuries in the sector is 8.2 per 100,000 workers, making it the most dangerous industry in which to work. Managing Partner of personal injury solicitors, Jefferies LLP, Michael Jefferies comments: “Compared to other UK industry sectors where injuries are on the decline agricultural injuries and deaths seem to be rising. If you have suffered as a result of a farming accident at work, we may be able to help you claim compensation. Call us for advice on 0800 342 3206 or contact us online.